A lot of individual Japanese investors own government securities and other traditional investments, like shares of stock. Suddenly, Japanese retail investors have become very important to the growth of bitcoin. They are responsible for an estimated 30 to 50 percent of bitcoin trading, causing the digital currency to reach record high values. Once Japanese investors did not believe that bitcoin was valuable. Now they say its unpredictability in pricing may create ways to earn profits from the buying and selling of investments on different markets. “When I first heard about bitcoin a few years ago, I thought it was a fraud,” said Yoshinori Kobayashi, a former stock trader. He began trading in bitcoin two-and-a-half years ago. Kobayashi believes the value of bitcoin will continue to rise. But he decided to take profits and sell some of his bitcoin last week. People use a Bitcoin ATM in Hong Kong, Friday, Dec. 8, 2017. Bitcoin has risen more than 16 times its price over the past year. Some observers have compared it to the rise of gold in the 1970s or the drop in the value of Japanese stock shares in the 1980s. Investors made a lot of money before share prices fell. There is little research available on bitcoin or other cryptocurrencies because most countries do not have rules about their sales and values. Jpbitcoin.com, a Japanese bitcoin website, reports there were a record 4.51 million yen-based bitcoin trades in November. That represents almost half of the total of the rest of the world’s major exchanges of bitcoin. 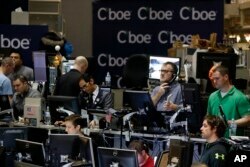 Industry officials say not all the trading is done by small investors. Some large businesses are also trading in bitcoin. Many industry officials suspect that Japan is responsible for between one third and one half of all bitcoin trades. Japan’s share rose after the Chinese government suspended bitcoin trading earlier this year. The Japanese government in April recognized bitcoin as a legal currency for settlement of debts. In September, it recognized 11 other cryptocurrencies. Some investors like bitcoin partly because its inventor, Satoshi Nakamoto, is believed to be Japanese. However, the true identity of the inventor or inventors has yet to be confirmed. Because large investors are unsure about bitcoin and not yet a force in the market, small investors have the chance to become the major movers of bitcoin prices. Also, the pricing systems are still in development. So it is not uncommon to see a price on one bitcoin exchange 10 percent higher than on another. This creates another way to make a profit. “Most Japanese traders don’t even bother to check the dollar price,” said a long time trader, who started buying bitcoin in September. The trader also said bitcoin’s moves are like the rise of gold and silver in the past. Indeed, many traders say bitcoin can be easily researched. Some financial experts fear bitcoin is a bubble, like the “tulip mania” of 17th century Netherlands. When investments in tulips weakened, the Dutch economy collapsed. However, many Japanese traders expect bitcoin’s rise to continue for a long time. Bitcoin’s net worth could reach about 10 percent of the world’s assets, about 100 times its size today, Kobayashi said. Kato believes the digital currency is already in a bubble. But he expects high bitcoin prices with the start of futures trading on the Chicago Mercantile Exchange next week. A major burst could happen in 2019, Kato warns. 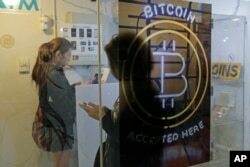 Australian Revealed as Creator of Bitcoin?